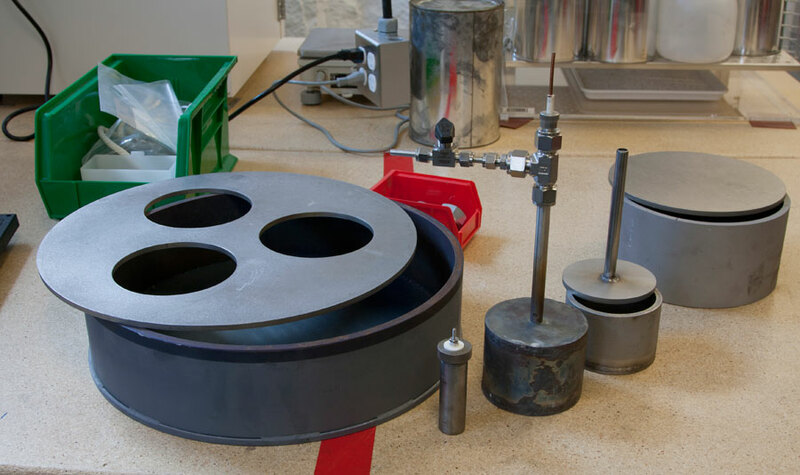 Behind the scenes at a startup developing batteries for grid storage. Liquid Metal Battery Corporation is developing cheap, high-power, and high-capacity batteries to smooth out fluctuations on the power grid. This could help prevent blackouts, and allow the use of more intermittent sources of electricity such as solar and wind power. 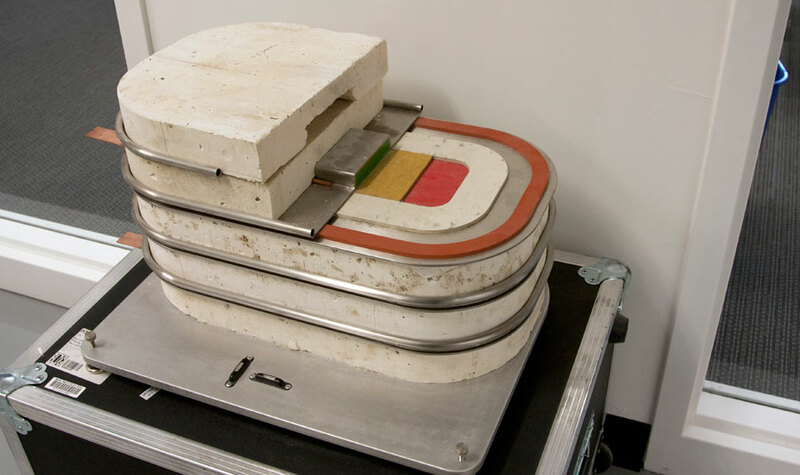 An early mock-up shows stacks of battery cells. A thick layer of foam insulation surrounds the heart of the battery. The colored pieces of material in the center represent the molten battery materials. 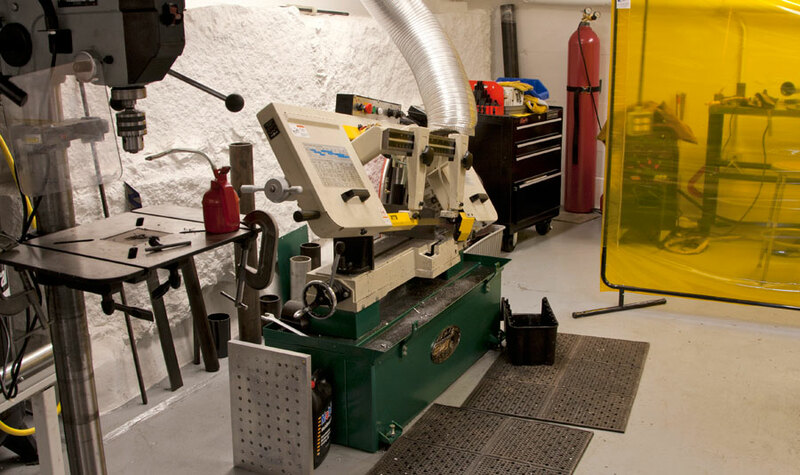 The company’s battery cells can be made with simple tools such as the bandsaw and drill press shown here. This is one of Liquid Metal’s first working cell designs. 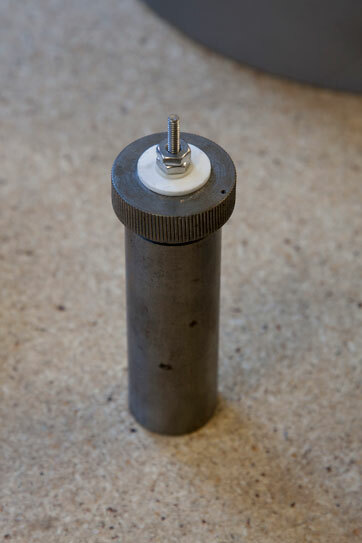 It is one inch in diameter. Liquid Metal has gradually scaled up its technology. Shown here are several cells, ranging from a one-inch-wide cell to the company’s largest, a 40-centimeter cell (the circular plate with three holes in it). Within each cell, two metals serve as electrode materials and one salt electrolyte. The metals are heated until they melt (hence the name Liquid Metal) and then naturally segregate, forming the three distinct layers needed for the battery to operate. Most of the company’s tests are done on four-inch cells. One cell is shown here inside an insulated heater. The electrode and electrolyte in the cell are solid at room temperature, but need to be melted for the battery to operate. 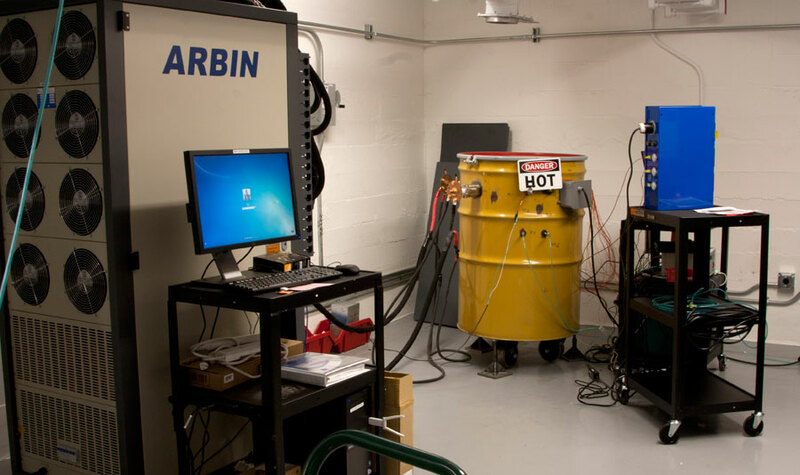 The cell is heated to 650 °C in this case, but the batteries typically operate at 500 °C. In a molten state, the conductivity of the electrode materials is very high, which allows the batteries to be charged, and to deliver power, rapidly. 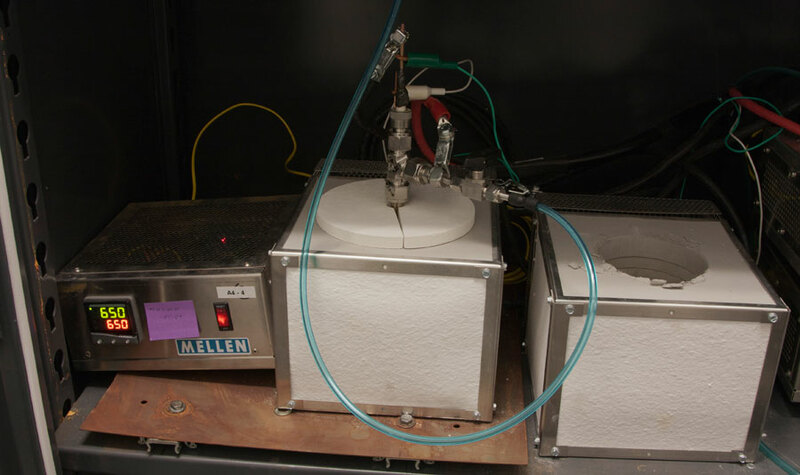 Liquid Metal tests its large, 40-centimeter batteries inside a steel metal drum. The charger is on the left, and a monitoring station is on the right. Although the sign says “hot,” the outside of the drum is cool enough to touch. The company’s headquarters, in the basement of an office building in Cambridge, Massachusetts, used to be occupied by a secretive military contractor. Now half of the space has the air of a startup—new furniture, bright walls, and a glass-enclosed conference room. The other half looks like a machine shop, where the researchers work to make the designs simple enough to be manufactured cheaply with standard equipment.